From the earliest days of the U.S. Supreme Court, alcohol has been part of the work lives and social lives of the justices. In the book “Glass and Gavel: The U.S. Supreme Court and Alcohol,” Nancy Maveety takes readers on a tour through the ways that SCOTUS and spirits have overlapped. 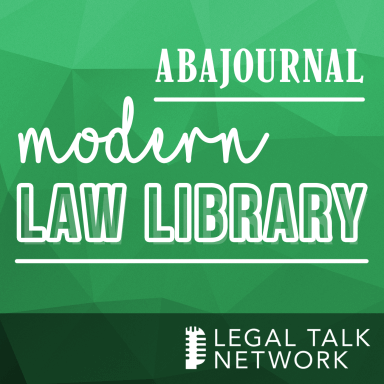 In this episode of the Modern Law Library, she speaks with the ABA Journal’s Lee Rawles about how she came to write this in-depth history. While the Prohibition Era would immediately spring to mind, the court faced a number of cases involving alcohol that impacted commerce, advertising, criminal justice and even gender discrimination laws. Maveety, who in addition to being a scholar of constitutional law also studies mixology, shares how she selected a signature cocktail for each chief justice’s tenure. She also has a drink suggestion for readers which encorporates an ingredient that’s known to be one of Justice Ginsburg’s favorites–and a cautionary tale about a normally teetotaling chief justice who dropped dead after sipping a sherry.